Michael's Hero vs. Villain approach to leadership will INSPIRE your audience to BE THE HERO! Michael Hahn is an expert on culture, leadership and high performance teams. 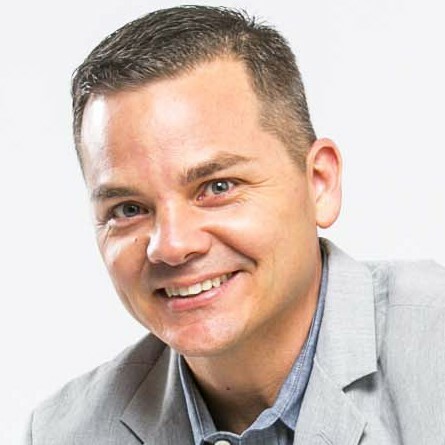 He is the author of Hero Habits: The Guide to Thriving in Corporate America and in Life and is a highly sought-after speaker on organizational culture, employee engagement and behavior change. He brings high energy, intense passion and humorous style to inspire audiences to embrace their inner hero. He speaks to audiences across North America at conferences, sales kickoffs and corporate events. Michael’s strategic use of culture to achieve business results and engaging employees to create a grassroots movement has created a massive impact at Allstate Insurance and several Chicago based high growth organizations. Michael has developed the Culture Change Handbook and ACES model and his articles have been featured in Inc. Magazine, Chicago Business Journal and The Startup Magazine. In 2015, he won the Public Relations Society of American Award for Brand Management and Reputation for his work with Allstate Insurance. He specializes in executive coaching, leadership team alignment and culture transformation consulting. Michael is Internationally certified and holds a dual M.B.A. in Entrepreneurship & Leadership and Change Management from DePaul University and a Bachelor of Science degree in Finance from NIU. He has 20+ years of corporate experience in Finance, Strategy, Business Development, HR and Corporate Relations. Find out more about Michael 'Hahndo' Hahn at http://www.MichaelHahnSpeaker.com.